This page is dedicated Zines that are currently in "print", at least within the last year (for annual zines). The & Publishing Group is a dedicated group of globally distributed volunteers whose goal is to promote and keep active old school games, especially Advanced Dungeons & Dragons (AD&D). As part of the OSR — regardless if you call it "Old School Renaissance" or "Old School Revival" — the & Publishing Group publishes a variety of supplements useful for all TSR-era D&D games. This includes the flagship & Magazine, plus supplements and adventures. As a zero revenue organization, all of our products are absolutely free! Our love of Dungeons & Dragons keeps us going! 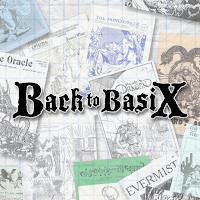 Back to BasiX is a fanzine that "celebrates, highlights and supports one of the original roleplaying game systems of the 1980's, the Basic and Expert editions of Dungeons & Dragons. 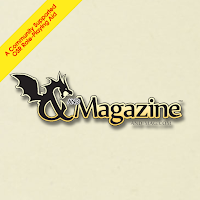 Each issue will provide or highlight content within the Holmes, Moldvay, Cook and Mentzer edited rules from TSR's Gary Gygax." Produced by Thom Wilson at ThrowinGames LLC, Back to Basix is a quarterly Zine. focused on Lamentations of the Flame Princess." Black Pudding is an OSR Fanzine produced by J.V. West's under his label: Random Order Creations. J.V. West is the writer, editor, and main artist for Black Pudding and each issue isn't layed out so much as drawn out. Full of original art, hand-drawn character sheets, and miscellaneous awesomeness, Black Pudding is available digitally as a Pay-What-You-Want title through One Book Shelf. 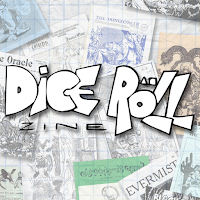 Dice Roll Zine is a 32-page old-fashioned amateur home-printed zine for OSR RPG games written by Steve C (Prismatic DM) and illustrated by some of the best OSR-influenced artists around. 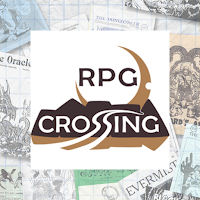 Explosive Runes is a periodic zine that currently serves as "The Official Magazine of RPG Crossing", which is a medium online community of play-by-post role-players. Explosive Runes is a PDF zine that currently appears to have a yearly release schedule. The current issue back through to issue three can be found at RPG Crossing. 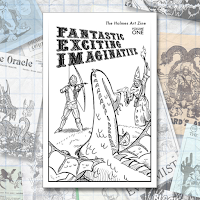 FANTASTIC EXCITING IMAGINATIVE is full of "Additional Rules for Fantastic Medieval Role Playing Adventure Campaigns!" Herein you will find well-over 50 new ideas for your game — all of it inspired by the art in the original book! New spells, new magic, new monsters and threats, new directions to explore, and plenty of twists on the classics. This zine is produced by Inner Ham. 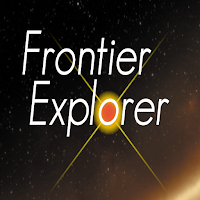 The Frontier Explorer is a web based magazine dedicated to providing fan generated material for "pen and paper" role playing games as well as fiction to the RPG community. In the beginning, Frontier Explorer will have a definite focus on TSR's (now WoTC's) old science fiction RPG Star Frontiers since that game holds a special place in the hearts of the magazine's two founding editors. 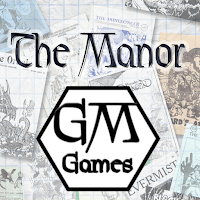 The Manor, from Tim Shorts/GM Games, has been around since 2012 and the main author writes like he's running a game for adult players. To quote the lead author/editor "...I do this for fun, not to change minds or challenge gaming philosophies. I roll dice, laugh, and try to make my funny voices sound convincing." Content is geared towards generic OSR, or a rules-light system easily converted to another OSR system. RPG Pundit Presents is a weekly OSR Periodical "from the mind of RPGPundit". Each issue covers a different topic, anywhere from Medieval-Authentic material to over-the-top gonzo stuff for introducing a level of zaniness to your games. 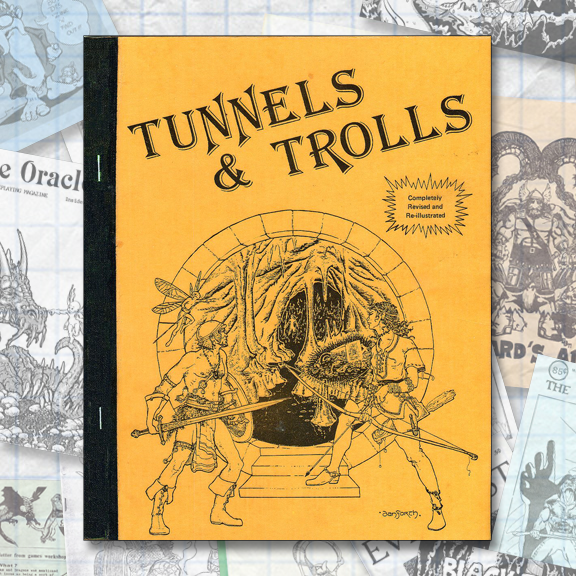 The material is intended for use with Old School (OSR) roleplaying games, providing sufficient mechanics, but is likely easy to port over to any RPG. 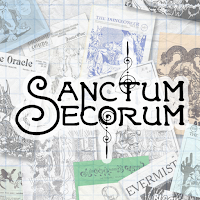 Sanctum Secorum is a companion zine to the Sanctum Secorum podcast. Focused on DCC RPG, each issue is full of playable material inspired by the works of Appendix N. Best of all, it is not only monthly, it is also free. Listen to the podcast online here. When a new zine issue is ready there will be a link on the podcast page or you can use this DriveThruRPG link. 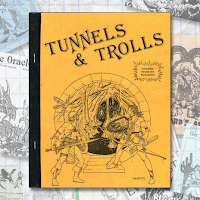 Trolls Zine is very much a free fanzine for the Tunnels & Trolls role-playing game. 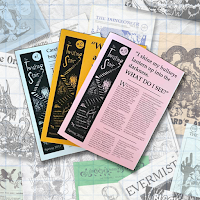 Each issue is packed with typical zine fare: adventures, magic items, and assorted T&T articles. The 1st eight issues were released from Flying Buffalo and subsequent issues were released from Khaghbboommm. The Twisting Stair is a traditional OSR Zine available in print form only. Ordering information can be located on one of the author's blog "Grogdog's AD&D Blog"
2018.03.25 Black Pudding #4 is Out! OSR Zine by Christopher Stogdill is licensed under a Creative Commons Attribution-NonCommercial-NoDerivs 3.0 United States License.